Best-in-class quality is something we aim for every day at Danfoss Drives. This post discusses how our AC drives are designed and produced, and what systems and organization we have in place to ensure that our best-in-class quality is continuously improved. Quality has an important impact on all areas of our operation: from new product development, sourcing and manufacturing to testing, shipping and customer handling. We have taken the decision to follow the framework of TS 16949 (an ISO technical specification aimed at the development of a quality management system throughout the value chain). TS 16949 is the foundation for all our efforts to stay ahead on quality. In the new product development process, comprehensive plans are in place to ensure quality is maintained in all tasks throughout the entire project. Our R&D experts apply ‘6 sigma’ principles to manage, improve and smooth the process flow and ‘Design for Reliability’ processes to ensure the reliability of a product during the design stage before a physical prototype is created. 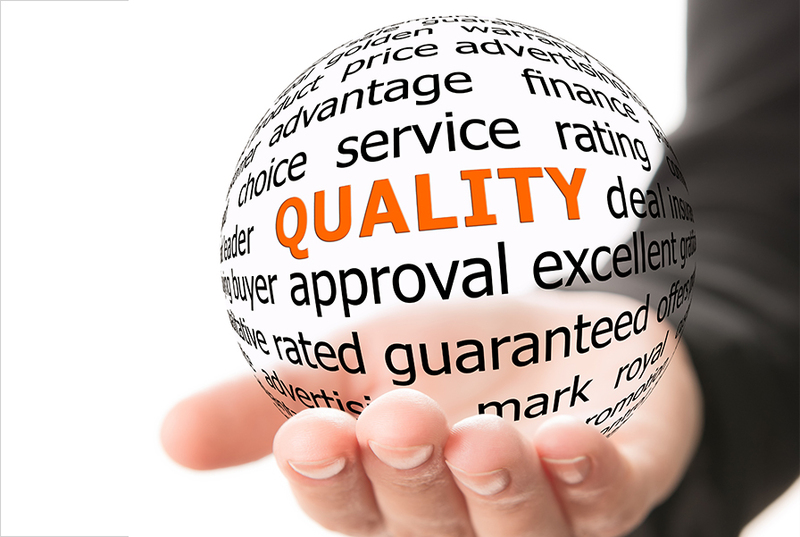 When it comes to sourcing, component quality is key in the production of high-quality products. Product complexity relates to the number of components used in a product and it has an impact on failure rates. So it’s vital for us to ensure the quality of the components supplied to us. Our procurement departments focus on increasing supplier performance and efficiency and ensuring their commitment to quality by requesting our supplier to apply the same rigorous demands as we put on ourselves. Customer handling is also a vital link in the quality chain. How we help and serve our customers instills confidence in us as a company and ensures we maintain our long-term customer relationships. Our after-sales service is facilitated by our extensive geographical service coverage. With centers of excellence in key regions, sales companies and service centers in more than 50 countries and an overall presence in more than 100 countries, Danfoss Drives has, beyond doubt, a global reach and a professional local touch. We offer close cooperation and service excellence and ensure the distance to products and support is minimal. – Failure Mode and Effects Analysis (FMEA). This qualitative analysis involves reviewing as many components, assemblies and sub-systems as possible to identify functional, design and process failure modes and their causes and effects. – Control Plan (Ctrl Plan). Defines a test for failure modes that cannot be eliminated. – Measurement System Analysis (MSA). Analysis that ensures the measurement set-up is performing adequately and to ensure the integrity of data used for analysis. – Statistical Process Control (SPC). A quality control system using statistical methods often adopted in manufacturing lines. Monitoring and controlling a process ensures that it operates at its full potential and produces as much ‘conforming’ product as possible with a minimum (if not elimination) of waste. It utilizes control charts, a focus on continuous improvement and the design of experiments. It is used on critical processes to provide early warnings of out-of-control processes. All AC drives leaving Danfoss Drives have been through a comprehensive testing sequence to ensure the first user experience with the product is successful. At Danfoss Drives, we make use of a series of miscellaneous simulation tools (electrical, mechanical and thermal simulation, 3D E-CAD and M-CAD) to help us improve quality. We also focus on early user involvement and field testing prior to final product release. During manufacturing, our testing methods include visual, reliability, functional, comprehensive approval electromagnetic compatibility (EMC) and motor-load testing. Reliability testing includes temperature and humidity analysis to find out how products are affected by temperature and humidity variations. Functional testing makes use of test benches and automated software tests. Comprehensive approval testing includes highly accelerated life testing (HALT) and omni-axial (6-axis) random vibration combined with thermal cycling testing. EMC testing helps Danfoss provide AC drives with optimum EMC protection and integrated harmonic filters to ensure the ideal EMC environment, and cleanest power supplies are maintained throughout the operational lifetime of a system. While 100% factory load testing ensures high reliability. Danfoss Drives has received many international certifications. Our testing laboratory has received international certification by UL (a worldwide safety consulting and certification company). According to UL, our laboratory is at the forefront of testing activities. We are among only a few companies that are certified to carry out a wide range of tests ourselves, especially 3rd-party testing related to electrical safety. The result is electrically safer drives. All our products carry CE marking to show that they meet the requirements of the applicable EC directives, and RCM certification shows our products comply with international EMC standards. – ISO 9001 – the quality management system that demonstrates our ability to consistently provide products and services that meet customer and regulatory requirements. – ISO 14001 – the environmental management system that manages the immediate and long-term environmental impacts of our products, services and processes. – OHSAS 18001 – the occupational health and safety management system that sets out the minimum requirements for occupational health and safety management best practice. – ISO/TS 16949 compliance that builds on the ISO 9001 guidelines. It is dedicated to achieving continuous improvements, defect prevention and reduction of variation and waste. At Danfoss Drives, we have dedicated quality improvement teams who strive to continuously improve the market quality of our products and services. To gain an insight into how customers perceive our quality performance, we use independent consultancy companies to conduct annual market surveys. To date, the results have been extremely positive with customers consistently viewing us as a top performer in relation to quality. If you would like to share some experiences or have issues you would like to discuss with a member of the Danfoss team, don’t hesitate to use the comments section below or contact your local Danfoss Drives office. Why is water so high on the agenda? Will the need for steel disappear? Impressive article. Thanks for the info.